Unilever insisted once again that the FMCG business was in good shape, despite a slight slowdown in sales growth in the third quarter of 2017. Underlying sales growth in the period was 2.6%, compared to 2.8% across the first nine months of 2017. Turnover was down 1.6% in the quarter to €13.2bn (£11.8bn), as a result of the strong Euro. Excluding Unilever’s spreads business, which it is in the process of selling off, underlying sales growth was 2.8% – compared to 3.2% across the nine months. Chief executive Paul Polman said that the organisational changes Unilever had pursued over the last two years, dubbed "Connected 4 Growth", were making the business "less complex and more responsive to fast-changing consumer trends." Speaking on a call to investors, chief financial officer Graeme Pitkethly said that Unilever was "launching more local innovations than ever before." One example he gave was the launch of Knorr fresh meal kits in the Netherlands, which have been developed with a production partner. "If it fails, it won’t have cost us much," Pitkethly said – because of the lack of capital investment from Unilever. "If it succeeds, it opens up a new opportunity for Knorr in chilled foods." He also mentioned the launch of Amazon laundry bundles in the UK, calling these "a brilliant example of understanding the algorithm to win in search"
And the acquisition of Dollar Shave Club had helped the business understand direct-to-consumer models in a way that it has used to launch two new brands, Pitkethly said: Verve, a fabric care product, in the UK, and personalised skin care brand Skinsei in the US. The company has also made nine acquisitions in the last 12 months, compared to five in the previous year. 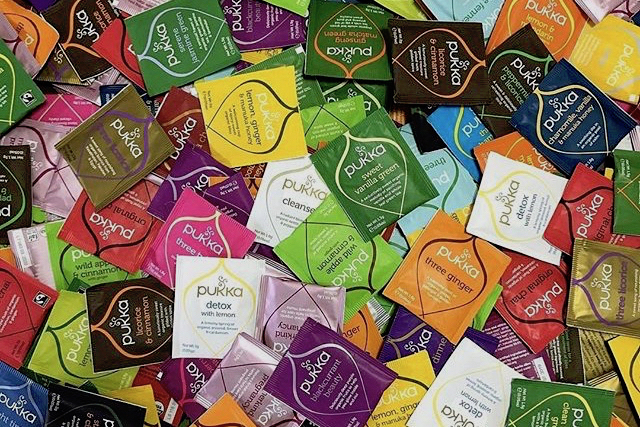 The most recent of these was Pukka Herbs, which reflected the movement of consumers to premium tea brands that has caused Unilever’s major UK tea brand, PG Tips, to struggle in recent years. Speaking about the role of Unilever’s global business under the new marketing regime announced a year ago, Pitkethly said: "You innovate in a more channel-centric way. You have to make sure that whatever you’re doing globally has to add value or there’s no point in doing it. We’re trying to get out of the way of the front line of our business."